As long as people have had hair, they have needed some way to tame tangles and most importantly, show off their personal style. For centuries, natural oils, wax, honey and plant extracts of all types have been used to improve the appearance of hair but often left it with a oily greasy appearance. By the mid 20th Century hair conditioners changed dramatically with advancements in cosmetic chemistry. What started out as a very basic grooming aid, the hair conditioner has morphed into a highly specialized hair care treatment. A conditioner basically tightens the hairs cuticle (surface layer), which in turn adds luster and allows each individual strand of hair to remain separate from others for volume (body) and manageability. Conditioners work much like a fabric softeners do for clothing. Beauty experts recommend using a hair conditioner following a shampoo as it can strengthen and improve the texture, replenish moisture, encourage healthy growth and adds body giving hair a clean, healthy and shinny appearance. Although they have many things in common, the chemistry of a hair conditioner is an “art and science” making each formula unique. Modern hair conditioners have reached a pinnacle of performance and specificity in resent years. There are now countless conditioners and hair treatments some with rare all natural or even nano-sized ingredients to magically transform your hair into a thing of beauty. Hair conditioning ingredients are selected carefully in order to secure the best possible result using a combination of chemical substances, (micro-protein, silicone, fatty alcohols, polymers, quaternary ammonium compounds) and at times natural plant extracts. 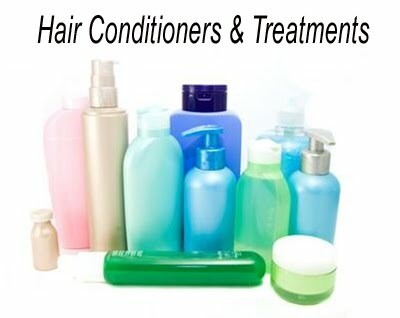 Hair conditioner ingredients and the amount used will vary depending on the hair type and its condition. With a variety of hair conditioners available on the market, each promising a special benefit and at times even a combination of benefits the choose can be dounting. Conditioners are subdivided into the following categories: reconstructors, moisturizers, acidifiers, thermal protectors, detanglers and glossers. If you’re shopping around for a new hair conditioner you’ll no doubt be confronted with a wide range of choices and prices. However, if you’re looking for professional results and are willing to pay a little extra you can’t go wrong by “asking your hair stylist” to select the perfect conditioner for your hair. After all who knows hair better then a hair stylist? Kalology is the corner stone of both Cosmetology and Dermatology and the line between both has become blurred in recent years with the introduction of Medi-Spa's. A medical spa is a hybrid between a "medical clinic and salon day spa" that operates under the supervision of medical doctor. Medical spas offer laser hair removal, microdermabrasion, photofacials, injectables like Botox, chemical peels and medical grade skin care treatments and products. Medical spas tend to have a more clinical atmosphere than salon day spas. Leading the way in the medical approach is Kalologie a California skin care clinic founded in 2002 by Tracy Brennan a former advertising executive and model. Tracy grew interested in skin care largely as a result of skin conditions she attributed to hormonal imbalances and stress. Drawing on here advertising marketing expertise she named her skin care concept Kalologie, which just happens to rhyme with dermatology and “kallos,” the Greek word for beauty, and “ology,” meaning “to study.” Each Kalologie Skin Care Clinic is owned and operated by doctors only and staffed with highly trained skin care practitioners to formulate a plan that’s based on each individual’s skin care objectives and delivers real results. Whether combating the signs of aging, struggling with the effects of acne, or just searching for a healthier-looking complexion, Kalologie offers its own "cosmeceutical-grade skin care products" and personalized treatment solutions to address the unique challenges of each individual’s skin. With the growing interest in non-surgical medical procedures and a youth orientated culture it’s no surprise that in a few short years, Kalologie Skincare Clinics have been rated one of the top 10 skin care clinics in America. Not to be left out many Salon Day Spas are now including a dermatologist on staff. This truly is a trend to watch as both Cosmetology and Dermatology join hands in the study of beauty. Empirical research has shown that using pressure point “scalp massage” is a most effective way to encourage healthy hair growth. A scalp massage involves a number of specific pressure points on the head that can stimulate and invigorate the scalp while providing pleasant, relaxing sensations. The beauty of using pressure point massage is that it can be done at home when shampooing your hair. All you need is the healing power of your finger tips and these three simple steps when shampooing your hair. To prepare the hair and scalp for shampooing, begin by brushing the hair from back to front several times with a scalp stimulator brush to remove tangles, lift dandruff and excess oil from the scalp and stimulate scalp circulation. Daily brushing can also help keep it clean and prevent styling aid buildup between shampoo’s. 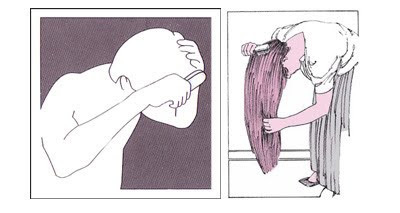 It’s the first step to healthy looking hair. For a thorough cleansing of the hair and scalp, begin by applying shampoo through “WET HAIR” starting at the back of head where hair is thickest. To assure a more even coverage bring the shampoo up under the hair all around the hairline and work into leather. To use pressure point massage, bend the head forward and place your fingers tips on the temples; press, rotate and slide your fingers through the hair as if combing it with your fingers. Move to the forehead, press, rotate and slide fingers back across the head. At the base of the neck, press, rotate and slide fingers up to the crown. Repeat each step three times and rinse thoroughly with cool water to remove all traces of shampoo. Just three steps and three minutes will assure a healthy head of hair. 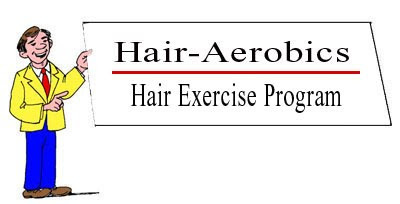 Add Hair-Aerobics to your fitness program and workout all the way. As long as people have had hair, they have needed some way to tame tangles and most importantly, show off their personal style. Styling tools used for curling hair have been around for thousands of years but changed dramatically in the mid 20th century with the introduction of electricity, space age plastic and ceramic material. 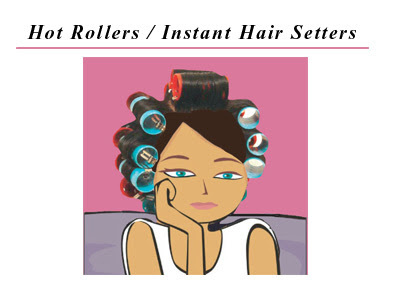 What started out as a very basic implement, the hair roller has morphed into a highly specialized styling tool. One example is the new Ionic / Ceramic “self warming” Hot Rollers. The early wire and magnet plastic rollers were used to curl wet hair but took up to a half an hour to dry under a bonnet hair dryer. The electric self warming hot rollers brought ease and convenience to hair curling and shortened the styling time dramatically. Today’s instant heat hair curlers come in a verity shapes and sizes making it possible to create loose tumbling waves, tousled curls or smooth straight styles with added bounce and volume in minutes. There are a number of ways to vary the style with Hot Rollers and Steam Curlers. For example, for long thin hair the rollers can be placed vertically to create corkscrew curls, while extremely large rollers can be used horizontally to create a soft wave. Or used in graduated sizes (medium & small) for a more natural look, as uniform curls can look somewhat artificial. You can also change the effects by brushing or blow drying the hair immediately after taking them out. Because face framing waves and curls soften facial features and are characteristic of youth, femininity; sensuality and innocence, hot curlers are one of my favorite go to styling tools. There are a variety of heated hair curlers (dry and steam) on the market today and leading the way is the Babyliss Professional Ionic / Ceramic Hot Rollers. This streamlined beauty comes with all the “bell’s and whistles” you’d expect in the 21st century. 30 instant heat ceramic rollers (8 jumbo, 8 large, 8 med. and 6 small) generate far infrared heat to eliminate damaging hot spots and provides maximum heat transfer. Dual ionic ports emit millions of negative ions (good stuff) to add shine and eliminate frizz. Space saving folding arm allows for vertical positioning and easy use. Simultaneously, the easy-glide ceramic surface and far-infrared heat preserves moisture inside the hair shaft for a super shine and further speed styling time. And if time is money, then this bad boy says….ca-ching! 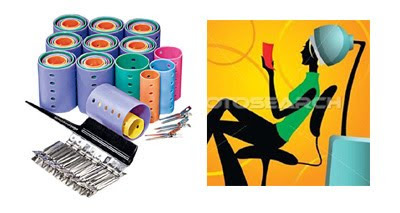 If you’re shopping around for a new hot roller hair setter you’ll no doubt be confronted with a wide range of choices and prices. From inexpensive drug store brands made in China that cost ($20-$40) to the top of the line professional salon brands ($75 - $100+). While these are geared toward repeated use by professionals, they can be beneficial for personal use as they will no doubt last longer and give you professional results. If you’re willing to pay the price the Babyliss Professional Ionic / Ceramic Instant Hair Setter is well worth the investment. Gabrielle "Coco" Chanel modernist philosophy, mens-wear-inspired fashions, and pursuit of simplicity planted the first seeds of female emancipation in the early 20th century. In 1920, Chanel took what was considered poor fabrics like “Jersey” and introduced women’s sportswear along with her signature fragrance, Chanel No. 5, the first perfume to have a designer's name attached to it. Her timing could not have been better. The Chanel style was the perfect look for the roaring 20’s flappers, a "new breed" of self-confident young women that challenged the established concept of socially acceptable behavior. 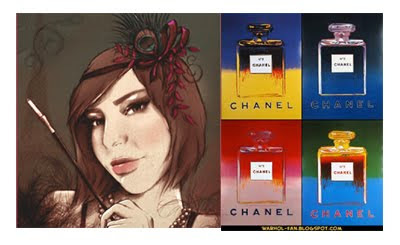 Chanel’s own lifestyle fueled her ideas of how modern women everywhere should look, act and dress. 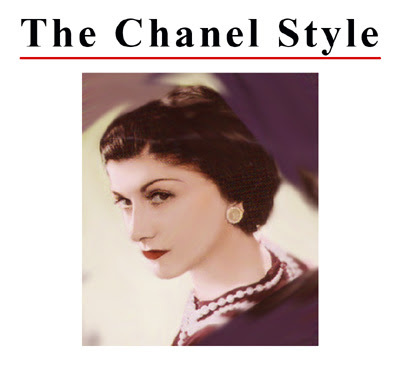 She emboded everything modern and chic with her signature bobbed hair, faux pearls and timeless style. Chanel not only invented the tailored jacket wth slacks and the LBD (little black dress), but catapulted the "color black" into the realm of being indispensably chic. As for all the flashy accessories (Bling) we see today you can thank Coco for making costume jewelry fashionable. Nine decades later her vision for the contemporary women, the Chanel Style remains somehow modern, timelessly elegant and irrepressibly chic. The women that uttered the quote, “Fashion Passes, Style Remains” and “Simplicity is the keynote of all true Elegance,” must’ve known that her sense of style would influence women’s fashion to this very day. Today's fashion designers and hair stylists owe much of their working knowledge to the tiny French women with a stiff upper lip and extrodanary sense of style. The term "pH" originates from the French term 'pouvoir hydrogen' (or Hydrogen Power) and has since been expressed as "parts of hydrogen". The symbol “pH” refers to the amount of hydrogen ions found in a substance and determines the acidity or alkalinity. As an example of the effects of (pH / Parts of Hydrogen), distilled water (H2O) which has a pH neutral (7.0) can swell the hair by as much as 20 percent. Hair is made of: Carbon, Oxygen, Hydrogen, Nitrogen and Sulfur. The Hydrogen bonds in the hair are responsible for approximately 35% of the strength and 50% of the hair's elasticity (some would argue up to 99.9% of the hair’s elasticity). 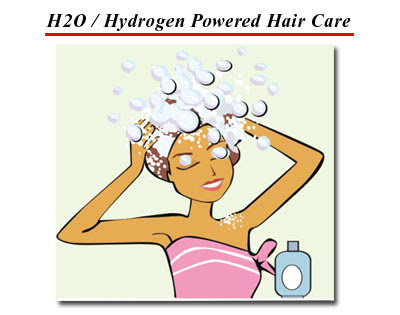 It’s the hydrogen bonds which allow us to change the shape of the hair temporarily with the aid of water (H2O). 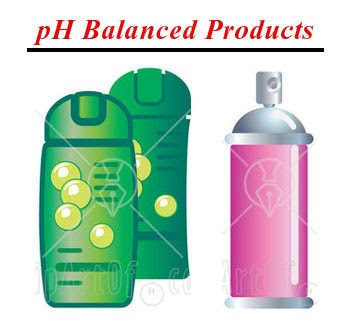 Hair has a normal pH level of between 4.5 - 5.5 and acidic or alkaline solutions can "raise or lower" the pH level of the hair causing physical changes. It’s this amazing feature that makes hair styling possible. High quality shampoo’s with a pH (5.5-6.5) are designed to maintain the normal elasticity while Conditioners and Treatments with a pH (3.5) contract the hair shaft, smoothing its surface and lock in moisture. Clarifying shampoos with higher pH level (6.5-7.5) swell the hair shaft and allow the surfactants to remove heavy oil, wax and styling sprays. Styling Aids with enhanced conditioning features and a low pH level insure a smooth surface and shine. Hair Relaxers and Permanent Wave solutions are formulated with a high pH level to soften the hair and waeken the Hydrogen and Sulfur bonds to reform or remove curl. In addition, Hydrogen Peroxide with a (high pH) swells the hair to allow color penetration. There are many elements that make up 21st century professional hair care products and “hydrogen powered” pH balanced formula’s are no doubt one of their most important features. You’ll get more miles out of your style with “hydrogen powered” salon hair care products.